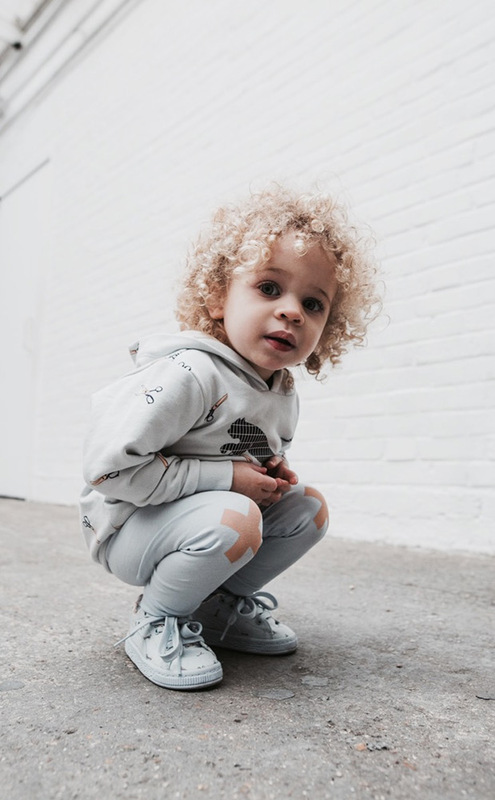 Great news for Spring Summer ‘17: the sports brand PUMA introduces its latest collaboration with renowned Spanish kid’s fashion brand, Tinycottons. The two labels have teamed up to create a capsule collection as part of the PUMA’s SS17 ‘Tribute’ range. Featuring classic PUMA silhouettes refreshed with Tinycottons’ playful attitude, the collaboration is turning playgrounds into runways with on point tiny looks. 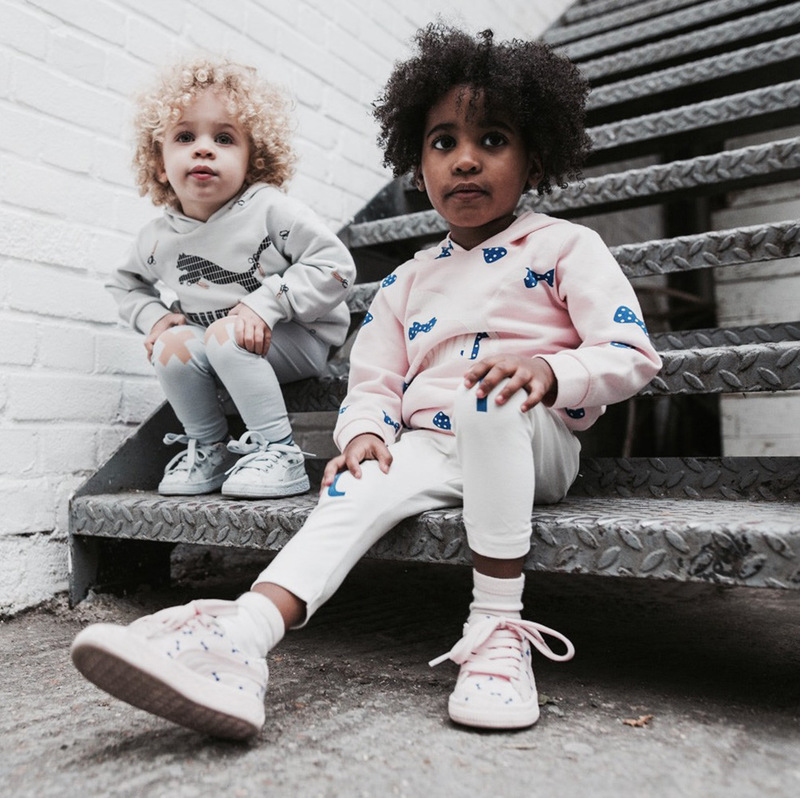 The capsule heroes the classic silhouette, the Basket, offered in leather and canvas, in both infant and pre-school sizes, and available in three fresh spring colours, Illusion Blue, Peach Nougat and Pink Dogwood. It also features apparel, including the Classic Logo Tee and Hoody, both of which have been treated with the tinycottons ‘Tribute’ graphic identity. 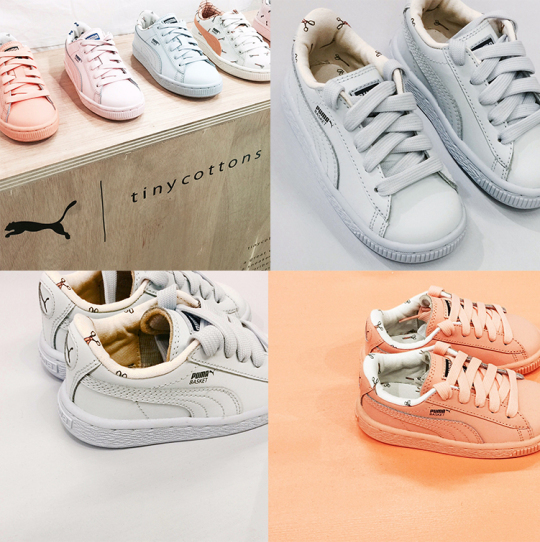 “This fun collaboration features classic PUMA silhouettes and pairing that with tinycotton’s unique playful graphic language sets it apart and makes it very premium. It’s a match made in the playground.” – explained PUMA’s General Manager for Sportstyle, Reinhard Discerner. The capsule collection is available in the Tinycottons store in Barcelona, PUMA stores worldwide and online.